It all starts with a seed. While tiny, it’s filled with the food and information it needs to sprout new life, one day turning into a beautiful Black-Eyed Susan or Clasping Coneflower. It grows into something beautiful, and before it vanishes, it sows seeds – thousands of them – for a more beautiful year to come. Mississippi has many native wildflowers, but these days, they can be tough to find. The Wildflower Trails of Mississippi project is helping bring them back, planting the seeds to ensure future generations can appreciate the sights and smells of wildflowers. Mississippi has a variety of native wildflowers. They provide food and habitat for insects and wildlife. Plains Coreopsis are a favorite of butterflies. And Partridge Pea seeds are a major food source for bobwhite quail, mallards and grassland birds. Wildflowers are conditioned to thrive in Mississippi, meaning they require little to no maintenance and are more resistant against drought. Healthy plants help reduce erosion and serve as filters for pollutants, keeping waterways cleaner downstream. And, if we haven’t sold you yet, they’re gorgeous. The swirls of yellows, oranges, purples, blues, and really every color under the sun radiates from roadsides, parks, fields and farms. Wildflower Trails of Mississippi is a project of Keep Mississippi Beautiful, the state’s nonprofit leader for litter cleanup, recycling and beautification. KMB launched the project in 2015, working with its network of affiliates, sponsors and partners to begin sowing those inaugural seeds. 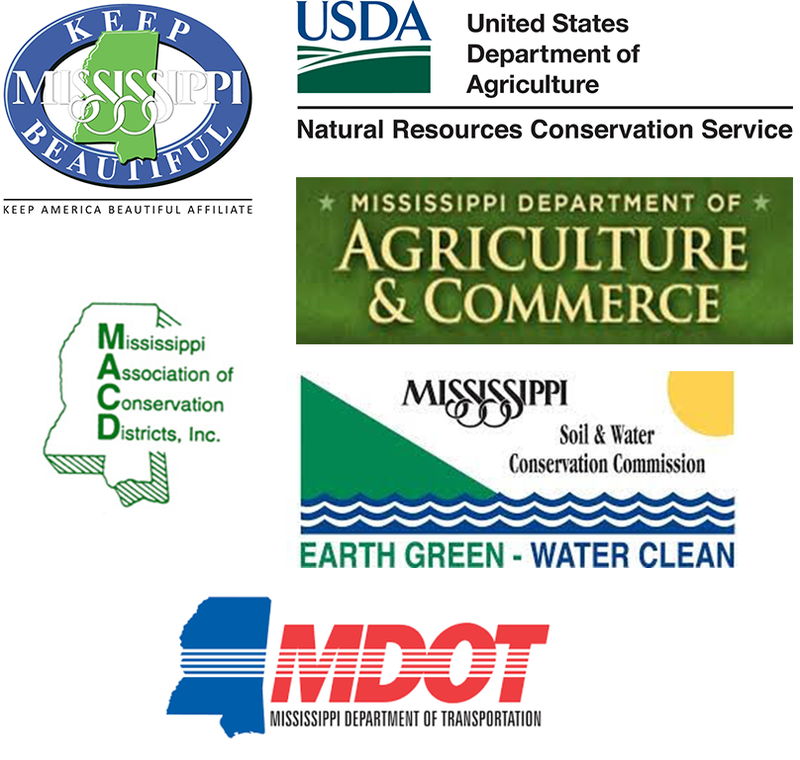 Our partners include USDA’s Natural Resources Conservation Service, Mississippi State University Extension Service, Mississippi Soil and Water Conservation Commission, Mississippi Association of Conservation Districts, Mississippi Department of Transportation, Entergy and Garden Clubs of Mississippi. We’re always looking for more help, and you can help us sow more seeds across the state. Donations to Wildflower Trails of Mississippi are tax deductible. Learn more.